Type: BARGAINS. Detail: Konikowski & Soszynski. Product Code: 1888690275. The Kings Indian has long been one of Blacks sharpest defenses to 1 d4. The Fearsome Four Pawns Attack is a book that deals with one of the most aggressive systems against this popular defense. The logic of the system is quite simple: With f2f4 White stakes a maximal claim in the center, which he will follow up by an attack on the enemy king. Of course, Black has a lot of defensive possibilities, but must play with a feel for the positions and above all know the theory well. Otherwise White will quickly grab the initiative, and Black may find himself on the wrong end of a blistering, direct attack on the King. 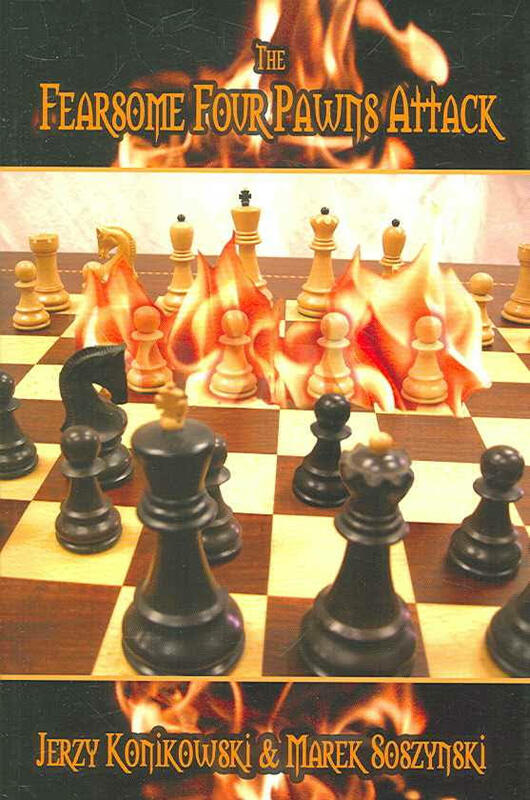 Jerzy Konikowski is one of the most prolific chess authors in the world, with dozens of publications in several languages to his credit. He holds the FIDE Master title as well as titles in correspondence chess and chess composition. The Magic of Chess Tactics. Meyer & Mu. $19.95.